With the support of our partners, donors, corporate sponsors, individuals—and tens of thousands of Walkers—we work to break the cycle of hunger and poverty by devising, funding, advocating for, and facilitating solutions that change lives across the Commonwealth. As the only statewide anti-hunger organization, we listen and learn, identify needs and opportunities, and connect people, resources, and programs—in ways both tried and new. Hunger exists all across our state, but because it is concentrated in specific areas and not always apparent. By reframing how hunger is perceived, by putting it within a larger economic and social context, and by empowering those we serve to take part in solutions, we remove the stigma, connect more people with the support they need, and, ultimately, enable those in need to give back to their own communities. We bring different folks to the table: farmers, corner store proprietors, legislators, school food workers, emergency food providers, organizers of farmers’ markets, parents…all to continually craft more effective solutions in our communities. We partner with both private and government groups who operate effective programs throughout the state to evolve and implement even more effective solutions. By combining our resources and efforts, we maximize the impact of all we do. We raise money for, and invest in, programs that make a difference—programs that provide a range of solutions. We advance thriving local food initiatives, community supported agriculture programs, urban agriculture, subsidized markets in at-risk neighborhoods, emergency food activities, and childhood nutrition programs. We advocate for our state’s most vulnerable populations; we inform our efforts with research conducted in collaboration with top academic institutions; and we drive innovation by joining forces with both government and industry to develop and pilot new models. 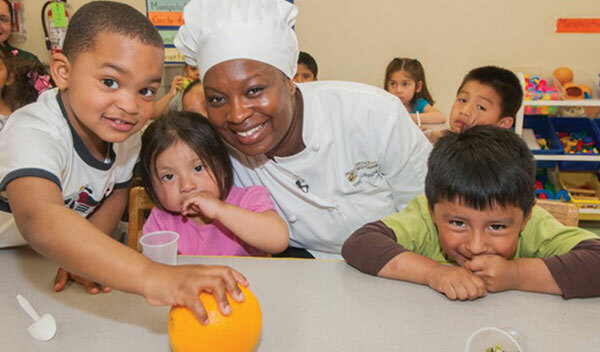 Project Bread is committed to ending hunger in communities across Massachusetts. Donate now to support solutions that break the cycle of hunger and change lives across Massachusetts.